"The class was great. The instructor was very professional. Can't wait to take another course." Read what security, firearms, and concealed handgun enthusiasts in Eugene and Springfield are saying about Defensive Firearms Instruction! "Class very well done. Instruction professional, articulate, and informative. Classroom site very good. Will recommend to others." "Thank you for the class! Found it to be informative. Would recommend it to friends." "Top notch instructors. I learned so much!" 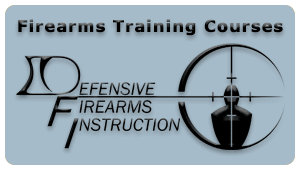 "I wish the standard set by the Defensive Firearms Instruction team was the standard for all instructors." "Class was very educational! I learned what I needed from the class. I also look forward to attending additional classes. I would strongly recommend the class instructors to anyone. Thank you." "The live fire practice was good. I am glad that there were assistants keeping an eye on everyone, as well as plenty of dry practice before hand." "Excellent course! Very thorough and answered may of the situational and legal question I had." "I learned a great deal, not only on the range, but in class. Thank you to both my instructors, it was wonderful." "I thought class was very informative, professionally given, and was excellent all the way around." "I found the class to be very informative there was a lot of information on the subject of private security. The instructors were very knowledgeable and helpful. 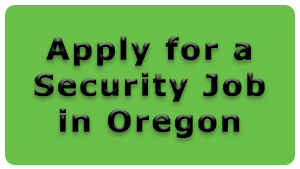 I would definitely recommend to anyone interested in starting out in security." "It was fantastic, very nice and well educated instructors, good environment. I have recommended to all friends." "Engaging class. Informative. Emphasis on safety." "Fast paced, energetic, fun and very educational. I am going to be recommending this class to many friends and family." "Great Instructors, involved, responsive, and caring. Definitely will recommend to friends." "Everything was great. The breaks on the hour were great to regroup. I would recommend this class." "Awesome class ... Awesome instructor... Loved it!" "The instructor was astonishingly knowledgeable. Not to mention it was quite fun. I would definitely recommend this course to anyone. I cannot think of a something better to do." "You guys were great. Loved the personal touch." "Top notch instructors, extremely professional, informative, safe and gregarious. Breaks every hour help re-acquire focus throughout the day. Would ABSOLUTELY recommend to a friend. 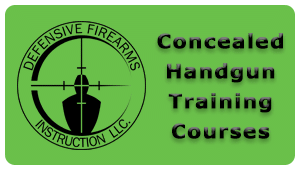 Really looking forward to being trained in a Armed capacity by this company." "Donovan is a great instructor! He is very enthusiastic and knowledgeable! He takes time to answer questions and makes sure everyone understands the material. I would highly recommend!" Are you doing a Google “near me” search in: Albany Oregon, Bend Oregon, Coburg Oregon, Coos Bay Oregon, Corvallis Oregon, Cottage Grove Oregon, Eugene Oregon, Grants Pass Oregon, Klamath Falls Oregon, Medford Oregon, Portland Oregon, Roseburg Oregon, Salem Oregon, Springfield Oregon, and surrounding areas?